Classic fit long sleeves shirt in a light weight polyester with a layered half front detail. 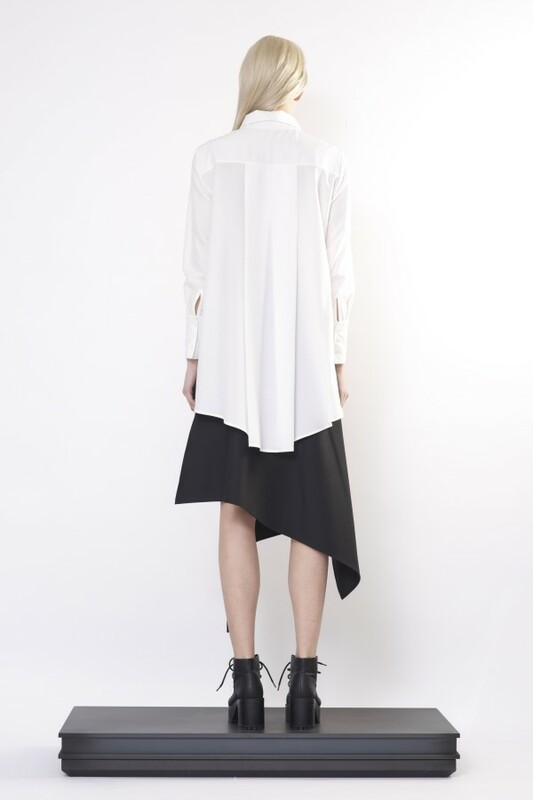 The shirt also features classic collar, flare cut and goes shorter at the front and longer at the back. The model is 175cm/ 5'9" and wearing size S.